Playtech slot machines - Play Playtech pokies online for free! Playtech has one of the most extensive selection of games in the casino industry both with respect to game variety and theme variety. Founded in 1999, the company is currently based in Douglas, Isle of Man, with 13 more offices in other parts of the world. Playtech is listed on the London stock exchange and supplies gaming software and casino management solutions for online casinos, online poker rooms, online sports betting, mobile gaming, online bingo games, arcade-style games, and live dealer games. Playtech is not only a game developer but also a supplier of an integrated suite of services meant to help operators better manage their player base, maximise marketing spends and optimise cross-platform capabilities. This system is the Information Management System (IMS), which was developed as an open platform, allowing operators to integrate third-party gaming products, tools and other systems, thus, benefitting from the vast capabilities of this system. From all the Playtech games, Marvel themed slots enjoy tremendous popularity. Comic book heroes come to life in titles such as Iron Man 1, 2 and 3, The Avengers, The Incredible Hulk, Fantastic Four, Thor, Wolverine, X-Men, Daredevil and many more. The fact that these slots include storylines inspired from the movie franchise makes these games more engaging and exiting for superhero movie fans. Marvel themed slots are also the games that feature the best progressive slots, however, other Playtech games such as Beach Life also include a progressive jackpot. Those who are not fans of the Marvel universe have plenty of other slots to choose from that were inspired by famous movies or TV series. Most notable titles include The Sopranos, The Mummy, King Kong, Rocky, Pink Panther, Blade, Ghost Rider, Gladiator, etc. Fans of classic 3-reel or 5-reel slots games will not be let down either as Playtech offers both traditional and modern games to satisfy all tastes. But classic slots and video slots are not all what Playtech is about. 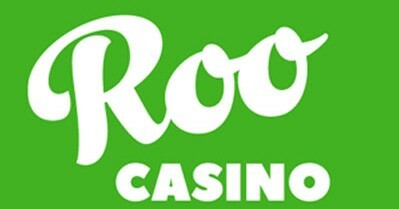 Their game repertoire also includes games such as roulette, baccarat, blackjack, keno, lottos, scratch games and video poker. In fact, Playtech has a dedicated platform for poker games called iPoker. This online card room ranks third among the biggest online poker rooms in the world. iPoker uses a skin-based system, which means that sites that are part of the iPoker network have different skins of the underlying poker interface, however, some elements like the design, lobby and table layout are the same. Sites within this network have the possibility to choose their own colour scheme and branding. Each of the 30 active skins share the same player pool. Playtech offers their players animation intense games, with amazing visuals, sound clips and graphics that aim to bring to life the vibrant atmosphere of the casino floor and the excitement surrounding slot games. Playtech games are laden with free spins, second screen bonus features, wilds and scatters. The variety of themes and the value-added gaming experience makes this software giant a company that has earned its popularity both among players and casino operators across all platforms.